Delicately Balanced for Slimming, Beauty and Detoxification. 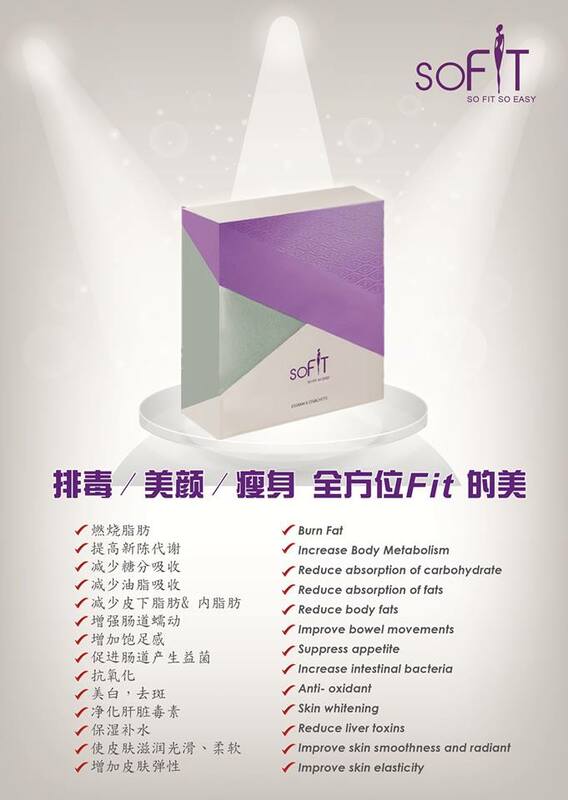 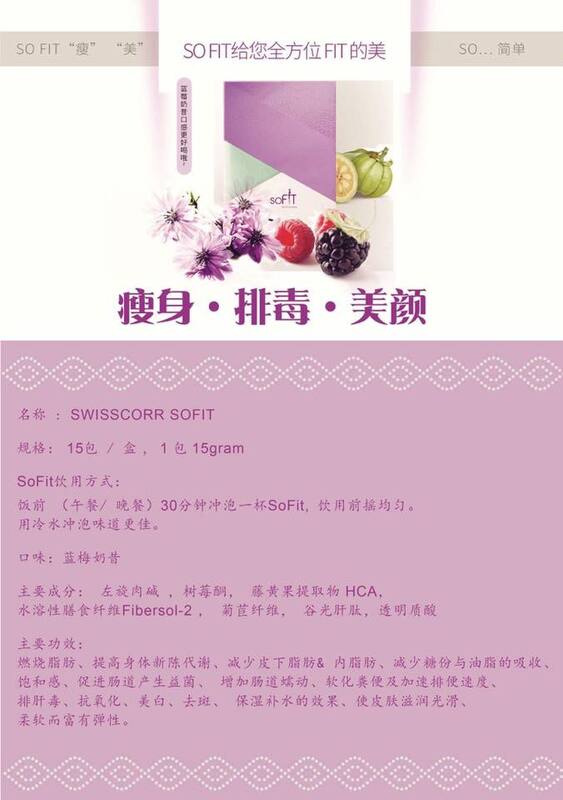 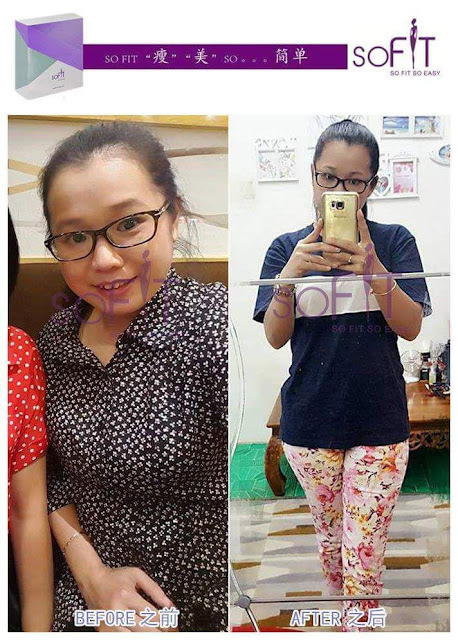 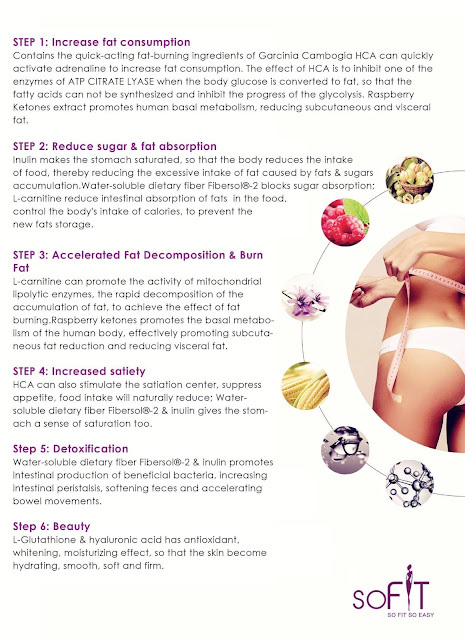 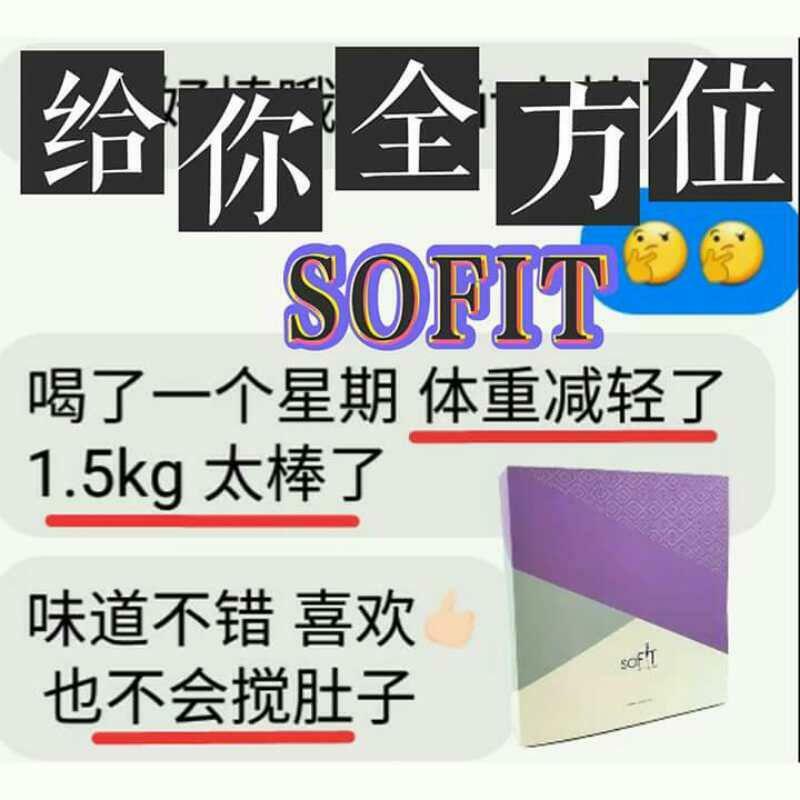 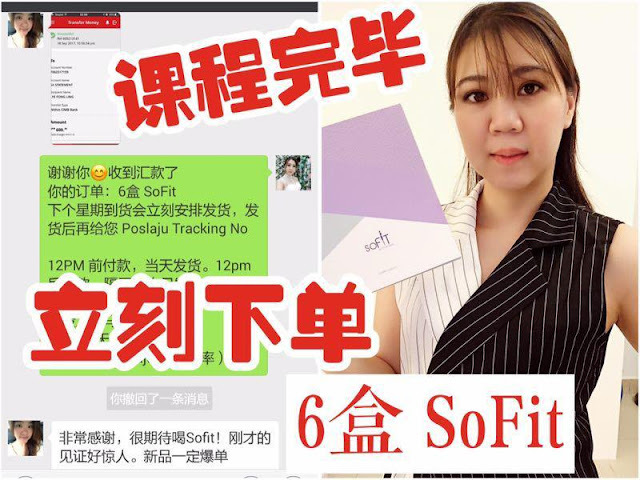 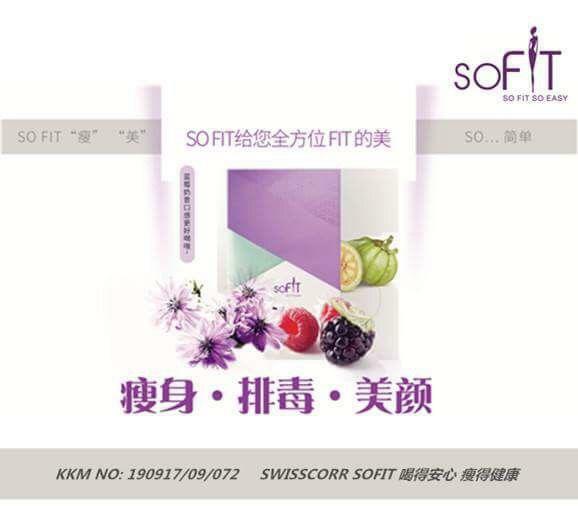 SoFit helps improve body metabolism and support healthy weight loss. 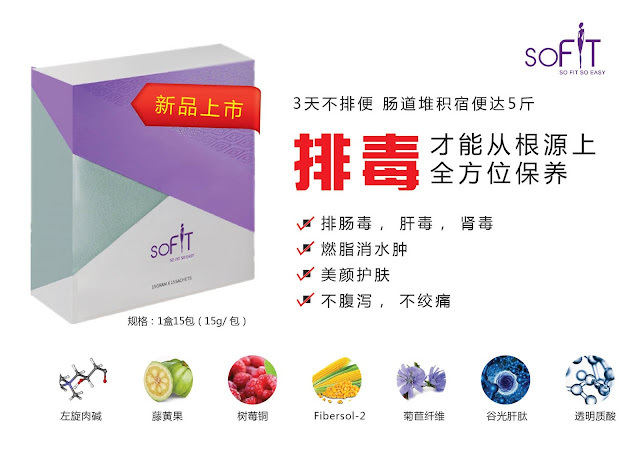 SoFit is formulated with Fibersol®-2 , inulin helps to relieve occasional constipation and select studies show that it improves stool consistency. 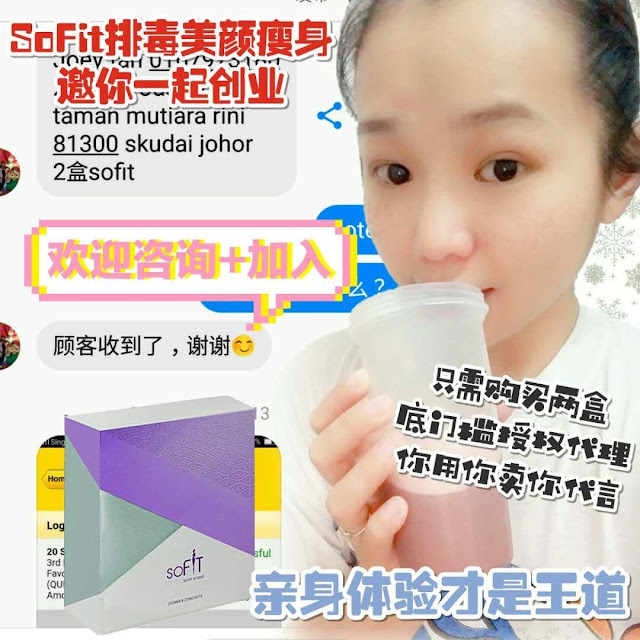 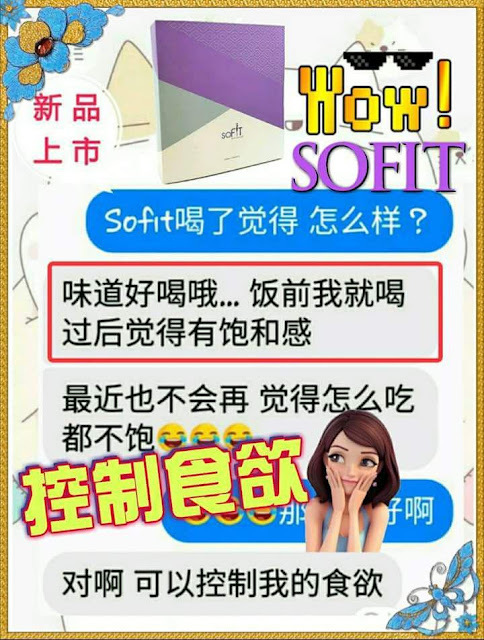 SoFit also helps retain moisture from the liquids you drink. 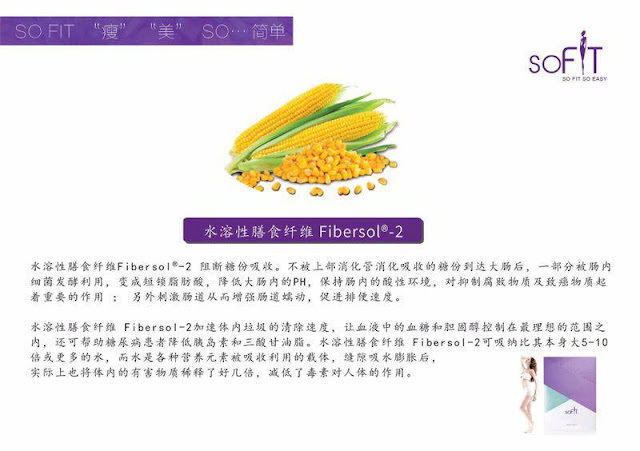 Frequent use helps avoid dry-looking, brittle or flaky skin. 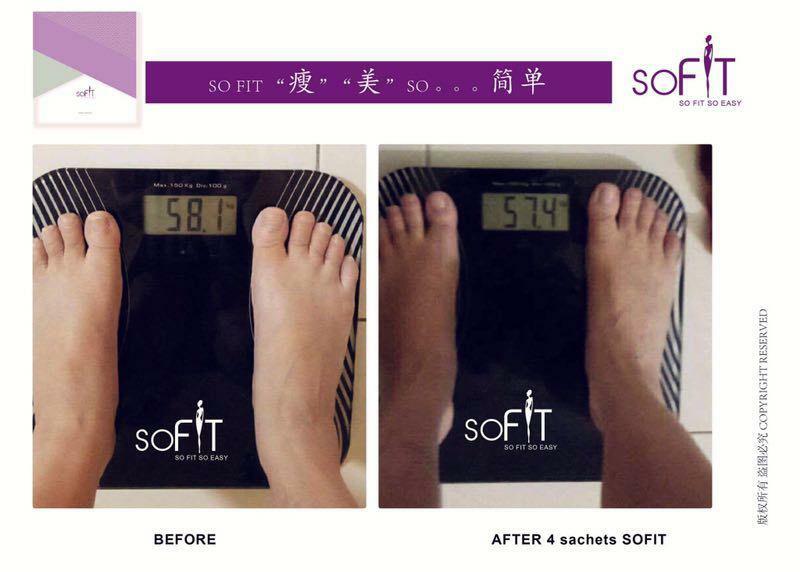 Mix 1 sachet with a glass of 200ml water. 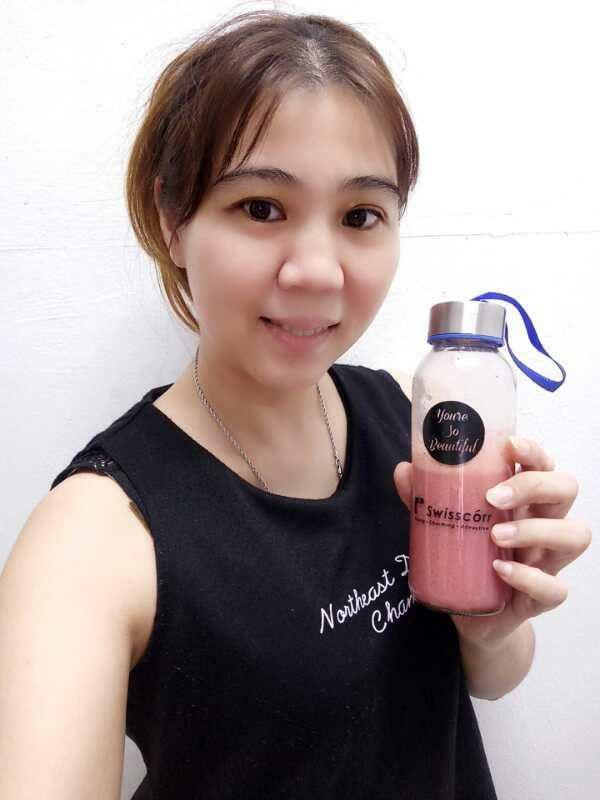 Shake well before drink. 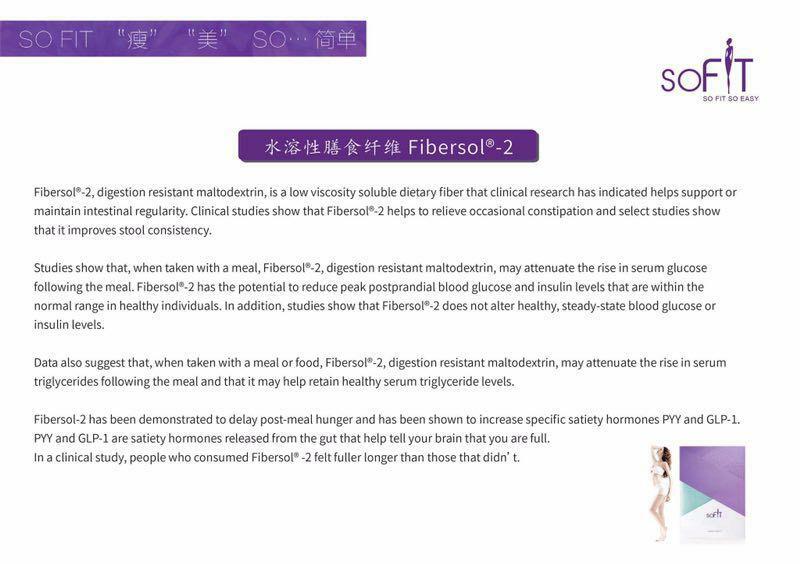 Consume half hour before lunch or before dinner. 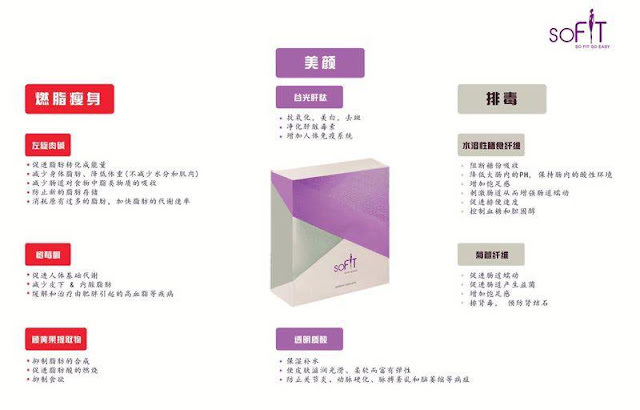 NOT RECOMMENDED FOR PREGNANT, BREAST FEEDING WOMAN. 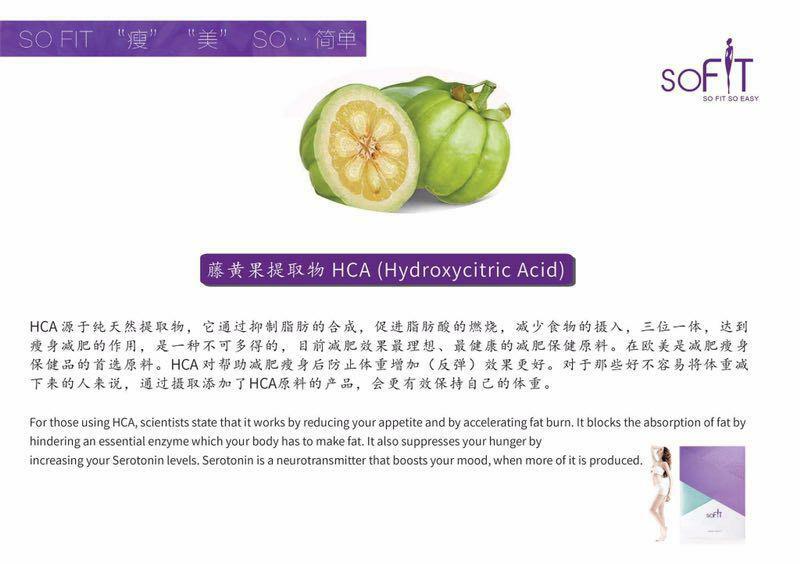 Contains the quick-acting fat-burning ingredients of Garcinia Cambogia HCA can quickly activate adrenaline to increase fat consumption. The effect of HCA is to inhibit one of the enzymes of ATP CITRATE LYASE when the body glucose is converted to fat, so that the fatty acids can not be synthesized and inhibit the progress of the glycolysis. Raspberry Ketones extract promotes human basal metabolism, reducing subcutaneous and visceral fat. Inulin makes the stomach saturated, so that the body reduces the intake of food, thereby reducing the excessive intake of fat caused by fats , sugars accumulation. 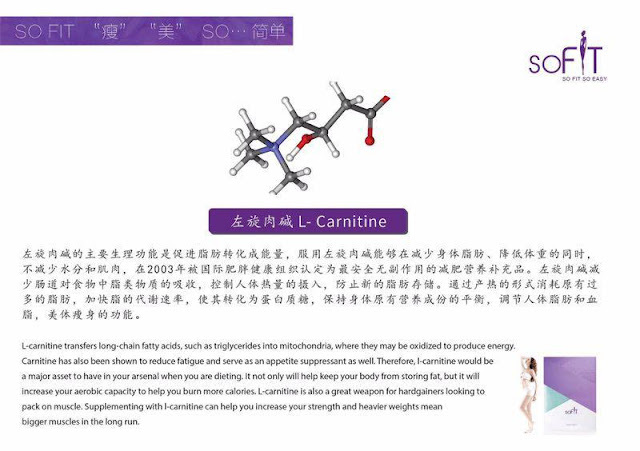 L-carnitine to reduce intestinal absorption of fats in the food, control the body's intake of calories, to prevent the new fats storage. L-carnitine can promote the activity of mitochondrial lipolytic enzymes, the rapid decomposition of the accumulation of fat, to achieve the effect of fat burning. 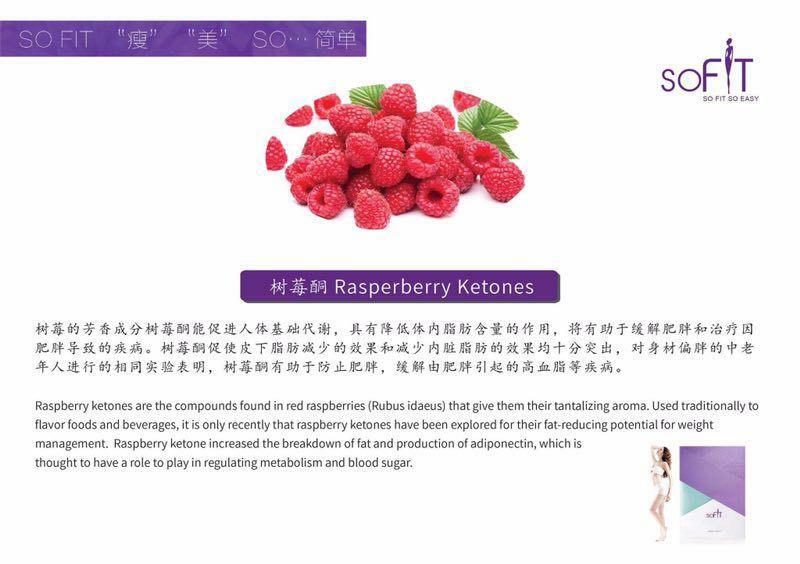 Raspberry ketones promotes the basal metabolism of the human body, effectively promoting subcutaneous fat reduction and reducing visceral fat. HCA can also stimulate the satiation center, suppress appetite, food intake will naturally reduce; Water-soluble dietary fiber Fibersol-2 , inulin gives the stomach a sense of saturation too. 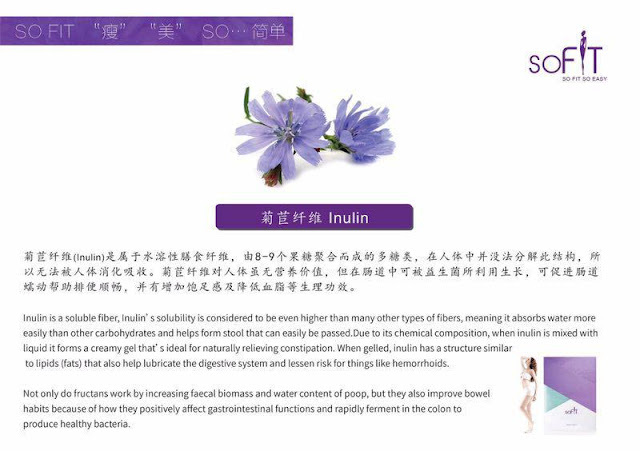 Water-soluble dietary fiber Fibersol-2, inulin promotes intestinal production of beneficial bacteria, increasing intestinal peristalsis, softening feces and accelerating bowel movements. 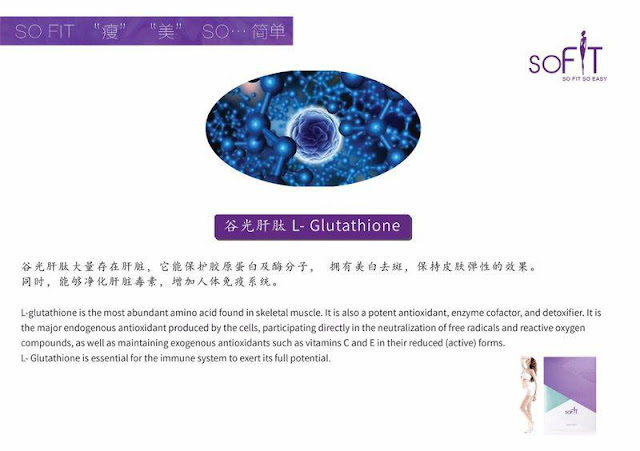 L-Glutathione, hyaluronic acid has antioxidant, whitening, moisturizing effect, so that the skin become hydrating, smooth, soft and firm.